Details: They’re available in both hardcover and softcover, and come in a standard size (6″x9″) that’s a bit bigger than the originals (6″x8.5″). 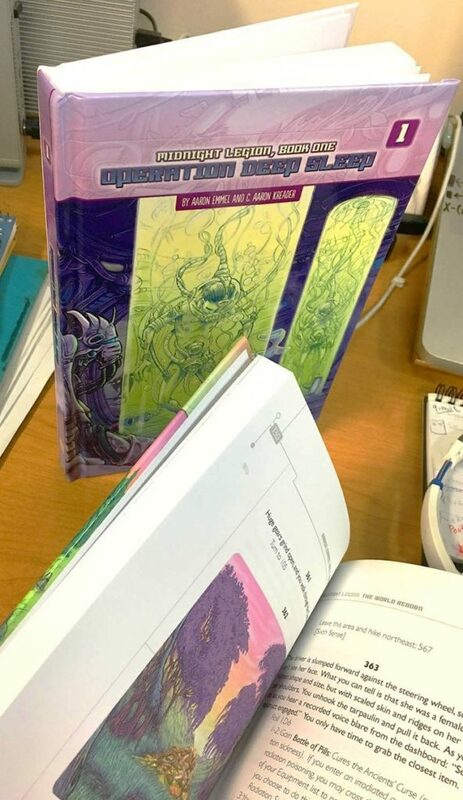 They also cost a bit more (+$3-$10 depending on the title and format), except for the Book 1 softcover version, which costs $3 less than the Boxed Set since it does not contain the box or dice, and the map and Rules & Memories Book come as a free PDF accompanying the print book. Meanwhile, the Portal of Life Kickstarter reached the stretch goal to reprint the Midnight Legion prequel, Last Recruit, which was both released and sold out this year, so expect news about that soon. 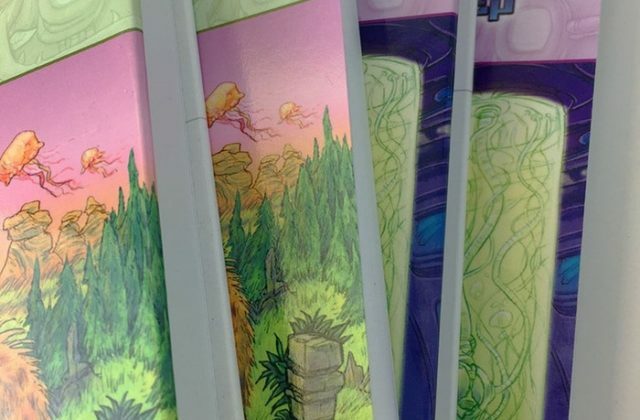 The Kickstarter fell $340 short of the $18,000 stretch goal to reprint last year’s first edition of Book 2, The World Reborn, but I understand that Studio 9 is considering whether or not to reprint that title as well, based on perceived demand.